The writing well is still dry. I’m hoping things change soon. This is so frustrating. Sometimes it’s difficult to take my advice. Breathe some more. I plan to drag out one writing book at a time and re-read them all. Maybe, among all those books, I will find inspiration and my muse who has gone into hiding. I managed to write a couple of pages today. However, hours later, after re-reading them, I deleted over half of what I wrote. It seems as though my writing is two steps forward and three steps back all the time as of late. I don’t feel as though it is a case of over editing either. It’s more like ‘how in the world could you write such crap?’ syndrome. I can’t believe how awful my writing is lately. It makes me wonder if it is the medications I’m on causing a short-circuit in my brain. I do stop another one in two weeks, when the pills run out. I hope it is the one that has my brain scrambled. As it is, I’ll keep struggling to get something on the pages. I remember that they all thought it was fun to gang up on me. I shoved my fists deep into my pockets because my parents forbade us to fight. I tried to walk away. Those three older girls weren’t going to give up. One of them shoved me so hard that I fell on my face. Road rash on my cheek burned. That did it. I got to my feet and proceeded to whale on all three of them, it didn’t matter to me that they were much taller and outweighed me. I saw red. When I finished, all out of breath and drained of anger, the girls had bloody noses and black eyes. They were running away. My parents got a phone call that evening. Those girls’ parents wanted me to apologize. My father took to me the home of one of the girls. All the way over I shook with anger at the indignity of having to apologize to them. When my father saw how much bigger she was than I, he told the parents he figured the three older, bigger girls owed me one hell of an apology. They could call on me the next day. We walked home hand in hand. I wrote a chapter yesterday and deleted it. I’ve been doing this almost every day lately. I can’t seem to find the train of thought that book was traveling on. Where oh where is that train bound? I wish I was on it once again. I think I need a new travel agent. One who will book me on the right train and get me to my destination of finished book. I see piles of unread books on the tables and more books languish in my Kindle. I need to read but between The Curmudgeon and the dogs it seems I am not allowed to do that. I hear the characters’ voices in my brain begging me to write them down and again although I need to do it I haven’t done it. The house smells of wet dogs. I need to clean and yet I haven’t done that either. Bitter and sweet the taste lingers on my tongue. I think of grabbing another cup of coffee. The best part of the Pennwriter conference for me this year? 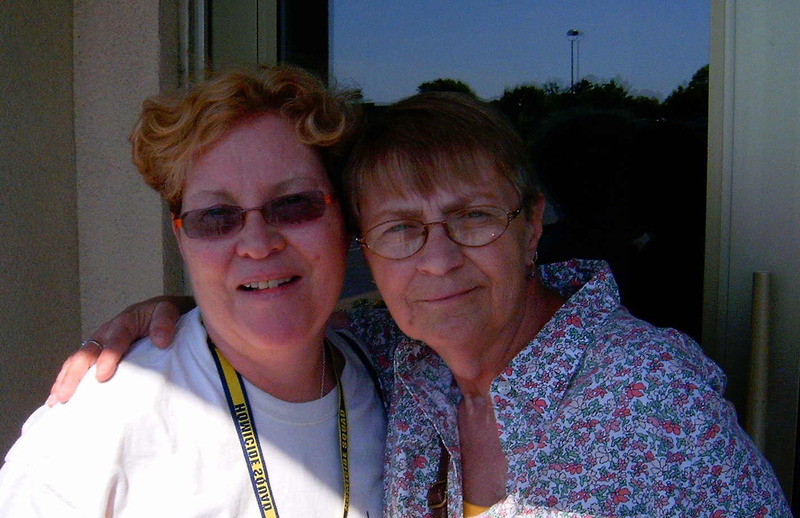 Having my dear, dear friend Deb show up. I hadn’t seen her since her horrible auto accident five years ago. Yes, there were many tears of joy. 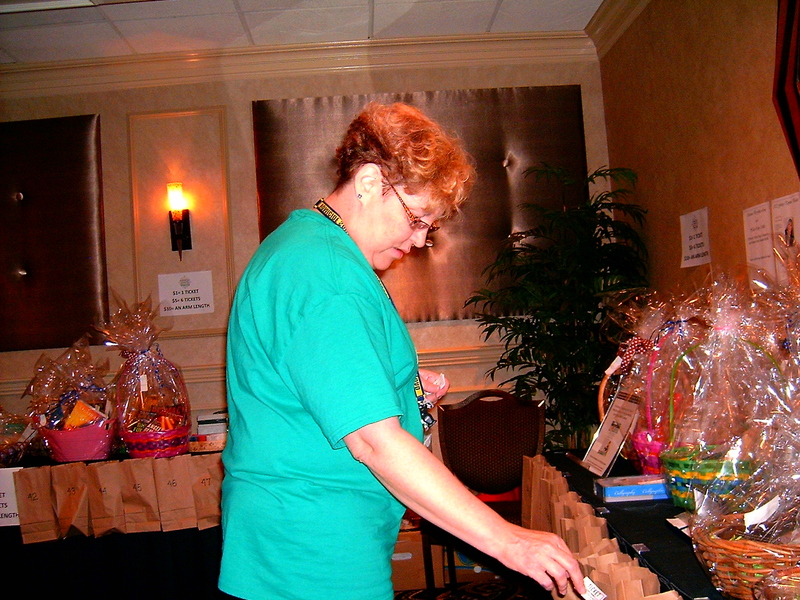 Place tickets in bags for baskets you hope to win…. 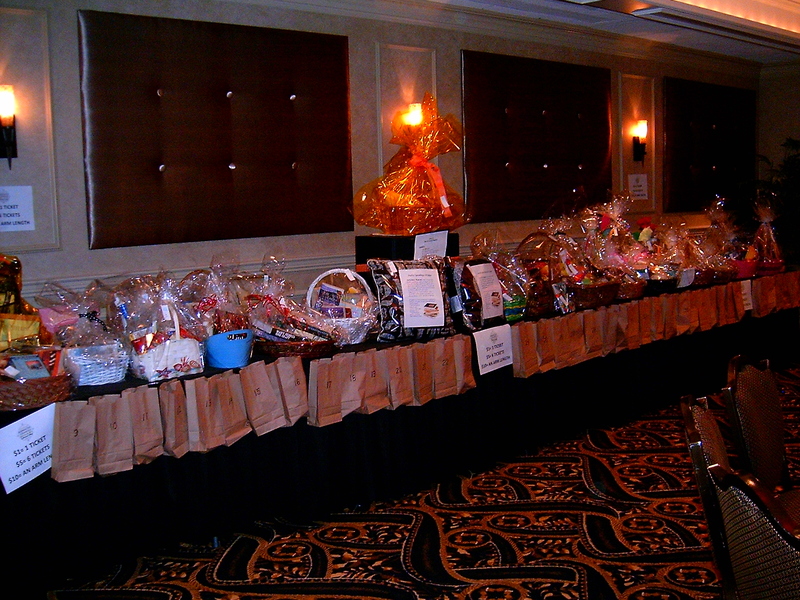 Win baskets to take home. As this week dwindles and next week grows nearer, my excitement mounts. I can’t wait to get to Lancaster for the Pennwriters conference! I can’t wait, I can’t wait, I can’t wait. I’m worse than a kid on Christmas eve now. If you are a writer and you want to try a conference, I say come to PW’s! Check out our site at http://www.pennwriters.org All the information about the conference is there for you to read at your leisure. My conference room-mate and I reserved our room back in January. I paid my conference fees last month. Why isn’t it May? Because I haven’t planned my basket donations yet? Gee, I really need to do that. The title for this years conference is A Writer’s Map. 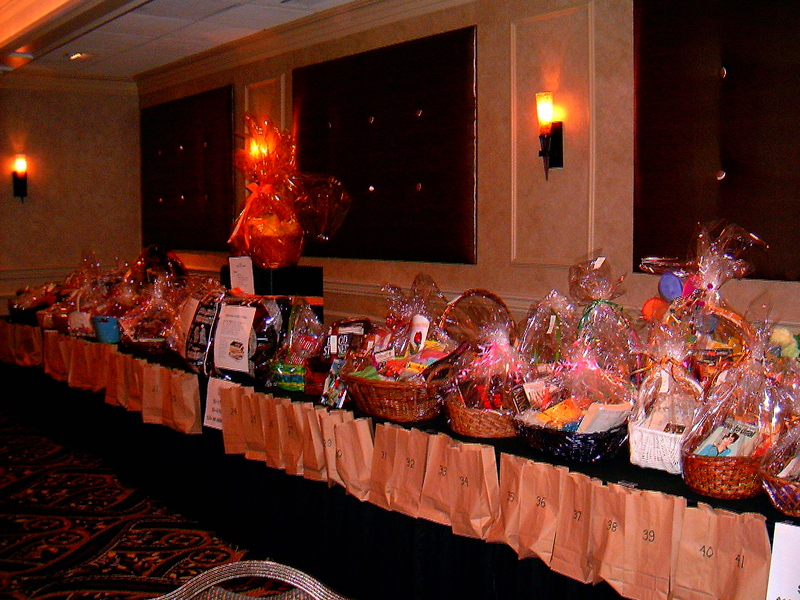 A theme basket could be in order….any ideas? 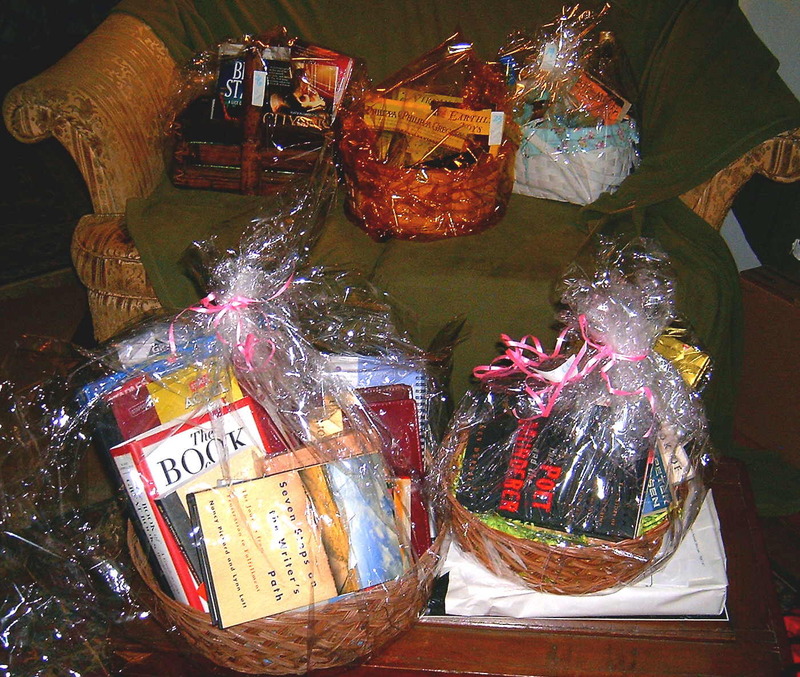 I have a pile of books to put in baskets again this year. Most are mysteries but there are several writing books too. Hmm, I need to start getting into basket creation mode. Today I filled out my Pennwriters conference registration form and paid for it. I am almost ready for May to get here. 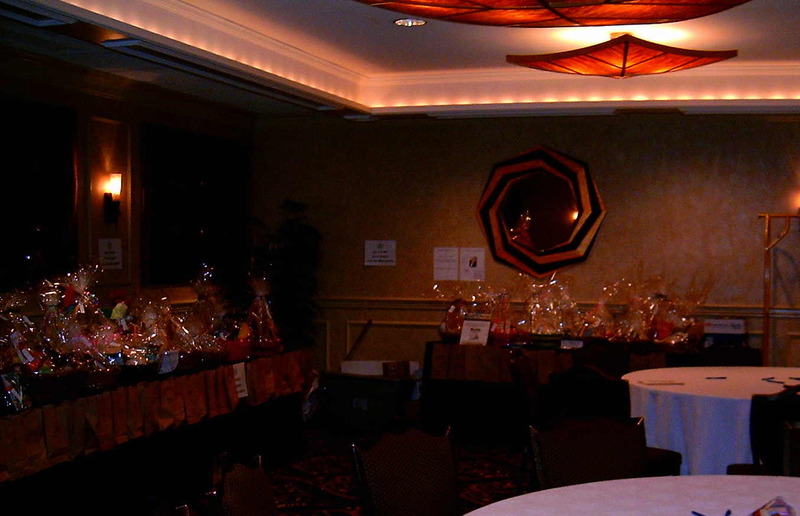 I have begun to create some baskets to donate. I plan to shop for a dress–yes, I am going to attend the banquet this year. I wouldn’t miss Hank for the world. I’ve started putting leftovers in the freezer in containers that The Curmudgeon can heat in the microwave for dinners while I am gone. I’ve arranged to have friends check on him and the dogs for the four days I will be away too. I even talked to my room-mate yesterday so we are now on the same page. Yay! A long, long time ago a poor lad discovered a strange pathway through a nearby forest. No one ever traversed the forest for fear of the ogres and beasties that dwelt within. Every day for a week he walked to the path, stood, and stared down its length as far as he could see. Which wasn’t far for the forest gulped the path down into its black maw a few yards beyond the edge of the trees. “Tomorrow I’m going to follow the path and see what lies beyond the edge of the forest,” he said to himself every day, but he never did it. Do you put off entering the forest or do you follow the path and seek out the unknown? Even though I hadn’t done much writing since August, it didn’t mean that I wasn’t champing at the bit to do so. The words just weren’t coming. I do believe the dam has developed a crack. I finished a chapter the other day and I am at present working on another. I won’t jinx it by saying that I’m writing again. Let’s just say, I am working on writing again. My goal is to get back into a groove where I am writing at least several hundred words a day. The goal after that is to get back up to a thousand or more words a day and then the next goal is to finish the friggin’ books that have been staring at me for months at a time!!! Wow, I have goals again! You all have a good one and keep your eyes on your goals. It’s all one step at a time.